Yesss it’s finally Friday which means I finally get to share with you my Holiday Gift Guide and reveal what I’m giving away! I hope you’ve had fun all week reading our posts and entering to win some fabulous gifts! Remember that each giveaway runs for a week from the day that it went live. Now you must be wondering what I’m giving away aren’t you? 😉 I’m beyond thrilled to be teaming up with Stikwood! Never heard of it? I hadn’t either until recently and can’t believe it took me so long to find out about it. It would have made my life a lot easier when I was building my blog backdrop. It’s the world’s first PEEL & STICK solid wood planking. It’s super thin and lightweight which makes it SO much easier to use then pallets or wood you would buy at the store. What you get is 20 sq. feet of Stikwood in the finish of your choice. I’m already jelly of whoever wins, and you better share with me how you use it! Good luck! They are all cool and amazing. Thanks for sharing them. Wow! I just came across your blog and I am living it all!! I do have a fondness for weathered grey! What a cool idea! Happy Holidays to all!! 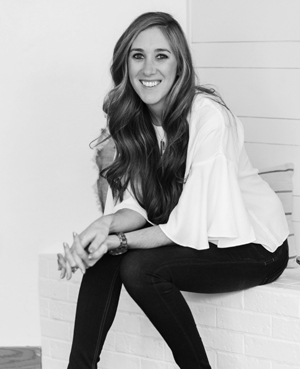 Just stumbled upon this blog, *love* all of your fantastic posts! And I’m loving the honey Stikwood! I would get the golden Oak finish. This is awesome. I love the reclaimed barrel oak!! Beautiful!! I’m loving the reclaimed barrel oak! I LOVE all the colors, but probably white or grey. Love this giveaway! I would choose reclaimed weathered wood! I didn’t see the choices in finishes. I’d go with mahogany or something close to it. I love the weathered grey look, that’s what I would choose if I won. Thank you for the chance to win! Coolest product! I’d definitely go for the reclaimed weathered wood look. I think that I would choose the Black Cherry Finish! Love the reclaimed weathered wood!!!! Love them all, so it’s impossible to choose just one! Reclaimed Weathered Wood White or Gray. Gorgeous isn’t it? Good luck, Doreen! Reclaimed weathered wood is my favorite, but I think the reclaimed weathered wood in gray would actually be best for the small wall I could use this on with a series of b&w cactus close up prints I took. Have been watching this product for a while. Thanks! That would look lovely! Good luck! I forgot to say I’d Select the white or grey! Without a doubt I would create a wall to stage our projects. Fingers crossed! Thank you for the chance(s) to win! 1. Find the perfect Headboard! Just came across your blog and think it’s fantastic! I adore your taste, and would love more than anything to win some gorgeous Stikwood! Personally I love the reclaimed weather wood gray, but my husband and I both love the reclaimed barrel oak. They’re all beautiful! Thank you so much Cassandra!! Good luck to you and thanks for entering! Ooooh these products would look amazing in the #tinyhouse my highschool students are building for me!!!! We are studying sustainable products and #stikwood is EXACTLY what I’ve been looking for to add some pizazz in my #tinyhouse!!!!! Oooooh these products would be wonderful in the #tinyhouse I am building!!!! So great – we like all of the weathered ones and have ordered samples!! Would love to have the weathered wood for a headboard! It would look awesome as a headboard! Great stocking ideas! Saving this for later. Thanks Melanie! Stocking stuffers are my fav! I love it!!! I would put up the recelaimed sierra gold!! So pretty! Good luck Amanda! Oh I am leaning towards the Reclaimed Weathered Wood but they are all so great!! This is so awesome and can be used for so many things! Love it! I know, it’s so hard to pick! Thanks for stopping by! I love the vintage look. You have some great ideas and pictures on this site! I really like the Reclaimed Weather Wood Gray. I love them all so it would be hard to choose, but I love the Reclaimed Weathered Wood, Reclaimed Barrel Oak, and Reclaimed Sierra Gold the best! It would help in the renovation I want to do in our home. Sounds like you could definitely use it! Good luck, Delynn! It all looks nice, but I like the Reclaimed Weather Wood. Thanks for the giveaway! The Reclaimed Weathered Wood would be the one I would choose. I never seen this stuff before and I would love to add it to my house. Our walls have nicks etc so it is hard to paint a wall and hide them. I would choose the reclaimed weathered wood white. Thank you for the opportunity to win! Learn something new every day. Really glad that I learned about Stikwood today. Great idea and an awesome giveaway. Would love to win, so many ideas of how to use this. Thanks for the chances to win. I’d do the side wall of my (enclosed) front porch! Stikwood looks amazing! Oopsie!! I’d use SandStone! So pretty! Oh my goodness, I can’t decide. Probably the reclaimed weathered wood. SandStone. I would use this in my bathroom, I love this! SandStone, I would do a wall in my bathroom. I love this! I like the Reclaimed Weathered Wood. I really like the Sandstone finish, thanks! I’ve been wanting to dress up a wall in my basement! Stocking stuffers are my favorite! Whoever wins your giveaway is one lucky person! 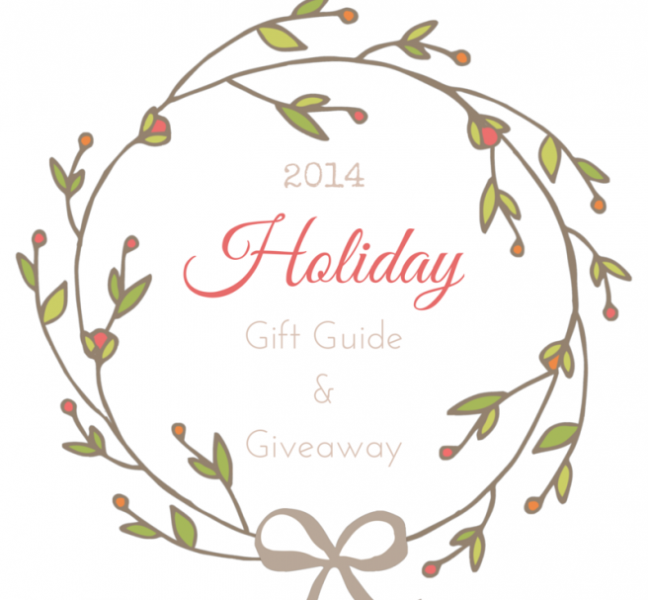 Great giveaway & gift guide! I wish I could win it!! Good luck lady!! I would choose the Reclaimed Weathered Wood White and I know exactly where it would go….my entry way wall around my front door. Awesome list of stuff!! And Stikwood sounds AMAZING. I’ve seen their stuff before, but I need it in my house right now. I want the weathered wood one!! Great guide and giveaway! I think I would choose the reclaimed weathered wood. Awesome! Thanks for entering, April 🙂 Good luck! Wow! That stuff could also be a great backsplash, and for almost free probably! Those boots, gloves, and that drill are my faves! The gloves are going on my list. Awesome giveaway Bre! I would choose the Weathered Wood in white or grey! So many possibilities! I think this is going on my Christmas list. I have the perfect wall in the hallway where I have my gallery wall. I would choose the weathered wood. Love the White Reclaimed Weathered Wood! This is such a great idea! 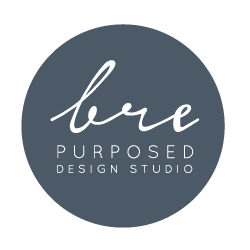 Bre – great gifts and awesome giveaway. Love Stikwood – such a great idea for a product! If I won I would probably pick a reclaimed weather color. Thanks!! Love that one! Good luck my friend! It’s gorgeous! Thanks for entering and good luck! I would choose the Black Cherry finish, I think. What a unique way to do a feature wall! Oh that would look awesome! thanks for entering, Alyssa! Great collection Bre, I as excited to see what gifts you chose because you have such great style. I would pick Reclaimed Weather Wood Gray. Aw I appreciate that, Carmody! Hope you enjoyed my picks! Thanks for entering and good luck! I’ve been eying this up for SO long! SUCH a great giveaway Bre! I’d have a hard time choosing between the reclaimed weathered wood and the reclaimed weathered white finishes. And fab gift list to boot!!! How have I never heard of Stikwood? We’re getting ready to upgrade our powder room and I was planning to tile one wall, but this may work even better (and easier!). I like all the colors but I think the reclaimed weathered collection is my favorite. 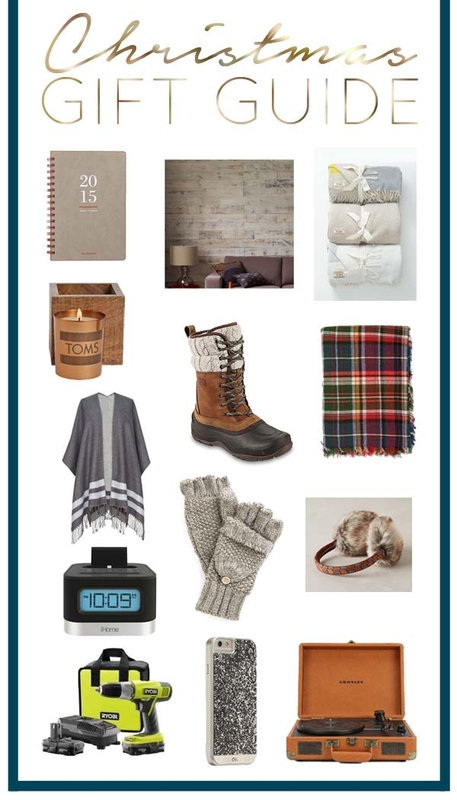 Love your gift guide too!! I know right?! I can’t believe I hadn’t heard of it sooner! This would be PERFECT for your powder room! Good luck my friend! I’m in love with Morning Mist! Thanks for hosting this giveaway! Hey Bre! Wonderful gift ideas and I heart your giveaway!!! I would definitely use the Reclaimed Weather Wood White for my photo back drop wall. Finger’s crossed! Pretty awesome gift guide! 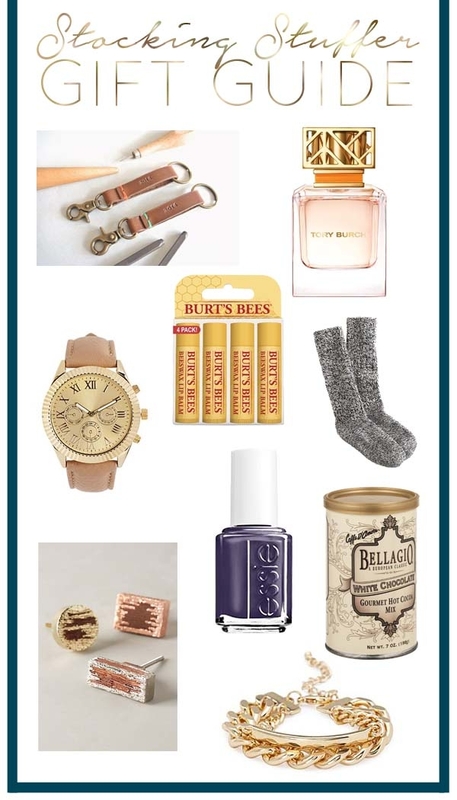 Love how you included stocking stuffers! And such a neat giveaway too, Bre! Have a great weekend! Thanks Kendra! Good luck and have a fab weekend! Me too! I wish I knew about it before I made my backdrop!